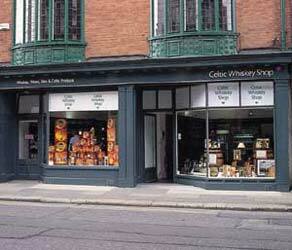 The Celtic Whiskey Shop boasts one of the most impressive ranges of Whiskey available in Ireland. Shoppers can enjoy an extensive range of Irish and Scottish, Rare and Collectible Whiskey. Premium brown spirits, world Whiskies and Bourbon are also in stock. The Celtic Whiskey Shop provides a full range of Off-License services. Customers can avail of gift-wrapping and delivery services, a free glass loan service and Hampers and Gifts can be made to order. Best of all, customers can rely on knowledgeable staff to point you in the right direction to purchasing the perfect bourbon or whiskey for you. To get to Celtic Whiskey Shop couldn't be easier. We're at the top of Dublin's exclusive Dawson Street, opposite the Mansion House. If you're still unsure of where that is, we are a thirty second walk from the gates of St. Stephens Green, or a five minute walk from the front gates of Trinity College in the heart of Dublin. The Celtic Whiskey Shop are constantly updating their stock and introducing new collectible and rare casks of the finest whiskey. To keep updated with some fantastic offers and to purchase whiskey, spirits or wine online, visit the Celtic Whiskey Shop website.